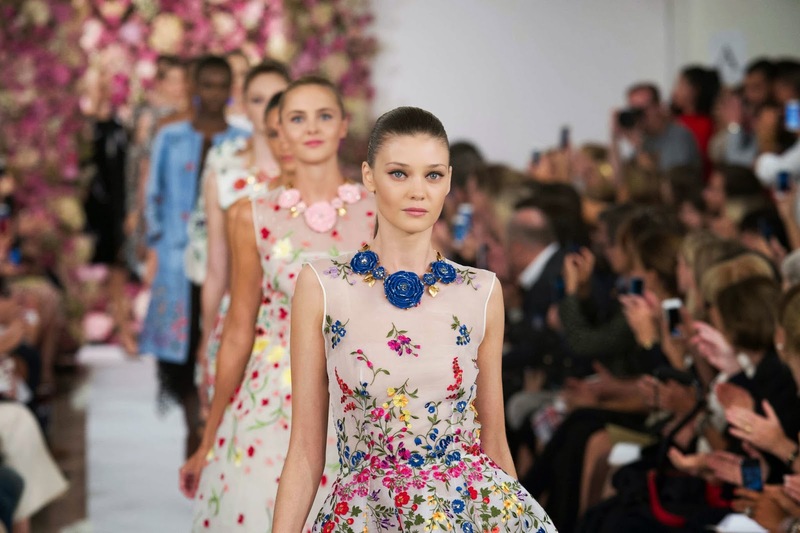 If you'd ask me to pick my favourite moment from the New York Fashion Week, it would be the colourful and ultra feminine finale at Oscar de la Renta. To be exactly precise, his entire spring 2015 collection is splendid. Between the pastel gingham outfits, the ostrich feather and eyelet details, the black & white separates and these stunning floral gowns, all the silhouettes are exquisite and ladylike in a very modern way. Plus, there is something quite fresh and optimistic about his collection that I find truly inspiring.